Are your students ready for some patterned shared reading? Working on sight word recognition and reading with 1:1 correspondence with your early emergent readers? 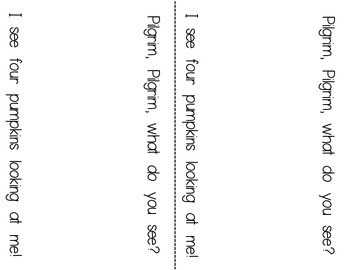 Want to build sentences with your students and then have them practice reading in a book of their own?! Looking for a book that offers a differentiation option? Then get ready to dig into this pack of Common Core aligned reading fun! 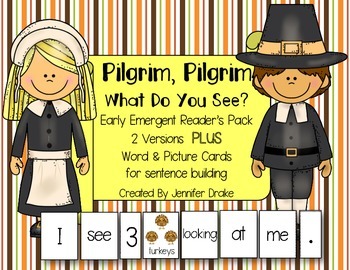 There are many 'Pilgrim, Pilgrim' books available but this pack has the added option of word and picture cards! 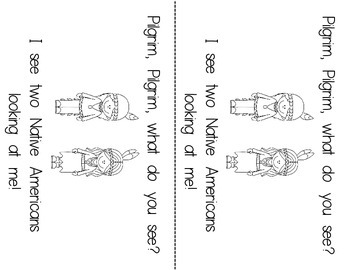 Makes a Great Make-A-Book Center or use in a shared reading lesson the week of Thanksgiving! Use in math lessons too! Be sure to check out my other Thanksgiving products in my TpT Store by clicking on the 'Thanksgiving' tab under custom categories! Consider following my store for email notification of new products and freebies! 'Like' me on Facebook for exclusive fan freebies, giveaways, games & more!